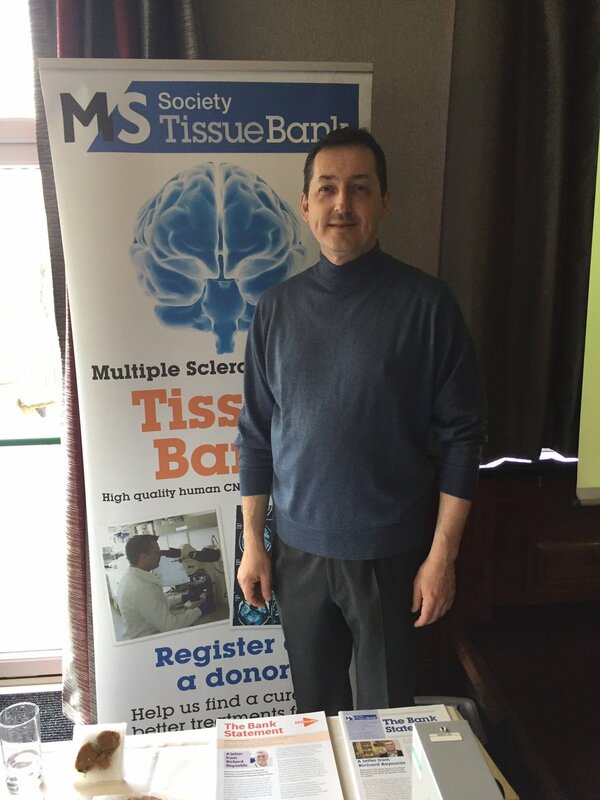 The programme included an excellent talk about the Brain Bank by Dr George Gveric from Imperial College. 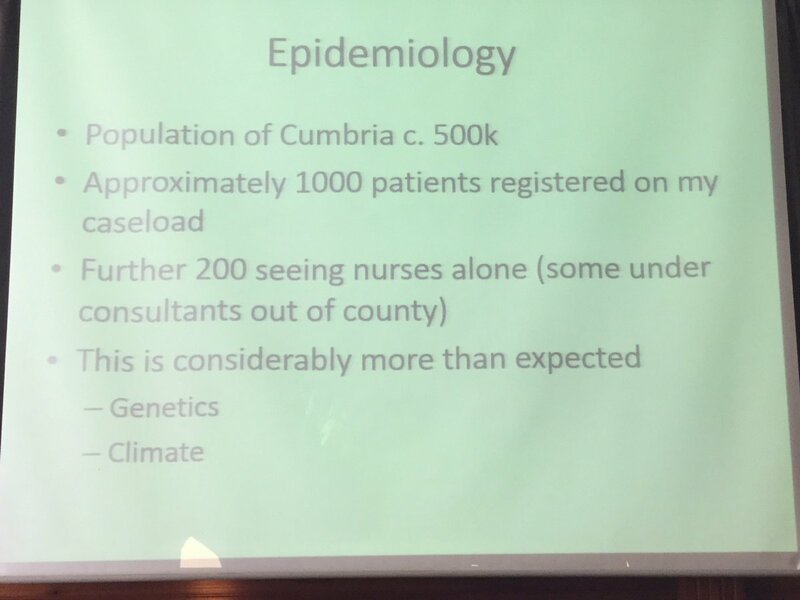 His presentation was followed by Dr David Footitt Consultant Neurologist from the Cumbria Partnership NHS Foundation Trust. David was well known to the patients in the room and has been at the forefront of developing services for MS in Cumbria. David described the choice of drugs currently available for people with MS and there were lots of questions afterwards. Yvonne Booth from 10 in 10 an amazing fundraiser showed an inpirational video about her fundraising and her husband Duncan. Julia Walker spoke next about her work with Lake District Mobility. Her project offers amazing access in the National Park to people with disabilities, and we are going to support her and work jointly on developing the range of Changing Places available. 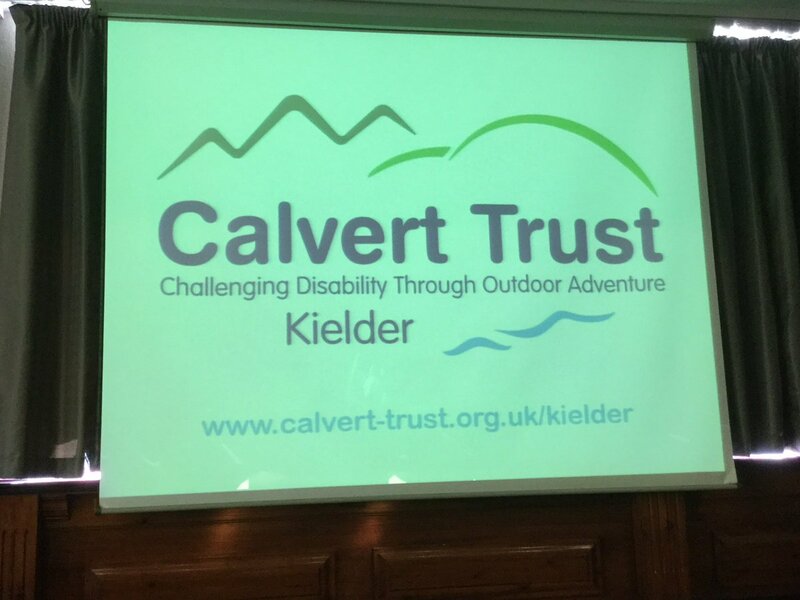 We finished the day with another inspiring talk about the Calvert Trust Kielder by Karen Diamond. 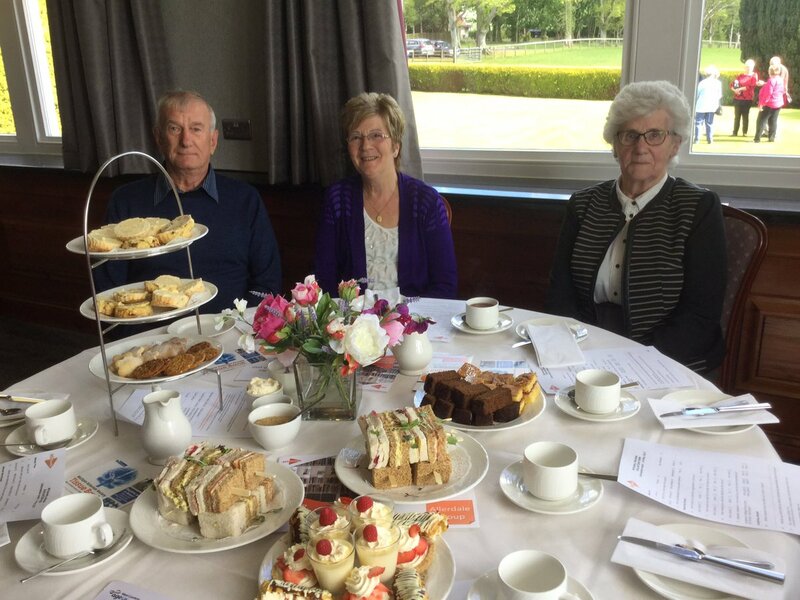 We had a break for afternoon tea which was most delicious and time for lots of networking. Many thanks to Hilary Windsor and all the team for inviting me, and we look forward to seeing you at our Cumbria Alliance meetings. Please find attached details of the current vacancy for a third sector representative to sit on Cumbria’s Public Health Alliance. The representative will join Sheila Gregory (Carlisle Mencap and Chair of the Public Health Alliance) in representing the third sector in Cumbria, through the Cumbria Third Sector Network and its various specialist networks. If you are interested, please complete the application form and email to jozib@cumbriacvs.org.uk by Friday 9 June 2017. If more than one suitable application is received, the Cumbria Third Sector Network members (through specialist networks) will be asked to elect a representative. We were delighted to have Theresa come to speak to the Cumbria NA last week. We had a large turnout of members at A Chance for Life in Penrith, and a lively discussion with Theresa afterwards. Huntington’s disease, which is often called HD, is an hereditary disorder of the central nervous system. It used to be known as Huntington’s Chorea or HC. Huntington’s disease usually develops in adulthood and can cause a very wide range of symptoms. The disease affects both men and women. That was my 200th post for the Cumbria Neurological Alliance! I hope these items have been useful for you – do drop me a line and let me know if there is any topic you would like covering. Guest bloggers always welcomed! 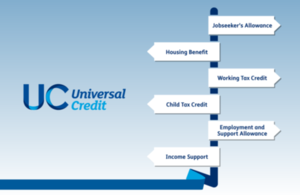 Care Act Guide: This guide is free to download. 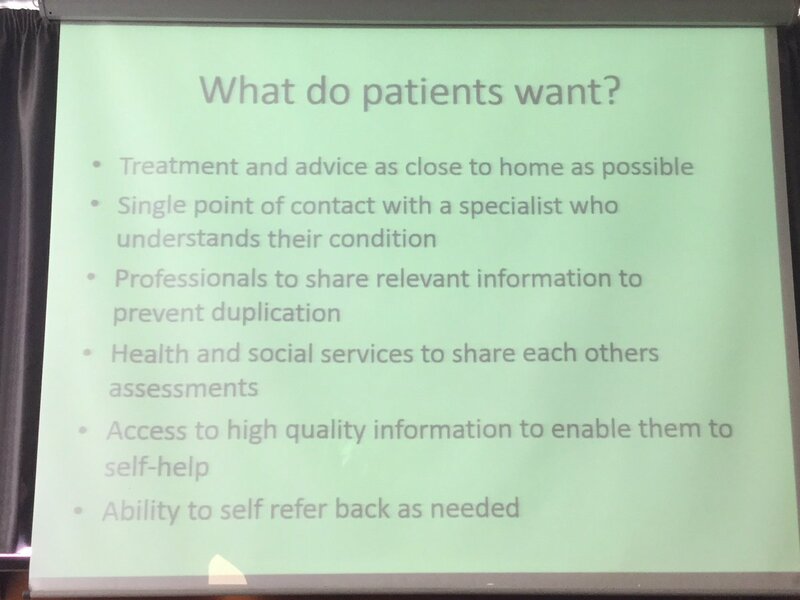 The guide explains about all aspects of the Care Act, including needs assessment, support planning, personal budgets, direct payments, what happens if you move, charging and financial assessment.